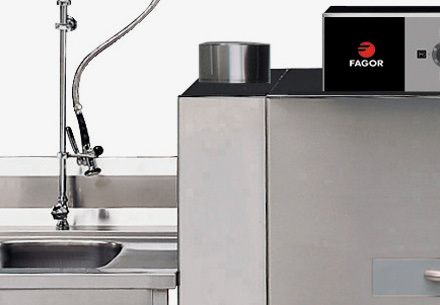 The Fagor Industrial range of dishwashing and catering equipment includes small glass washers for bars, cafés or small restaurants to large industrial sized models capable of dealing with up to 6,000 dishes/hour. 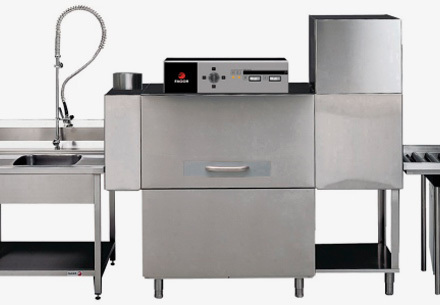 Below we present our range of glass washers, front loading dishwashers, commercial pass-through dishwashers and compact dishwashers, in addition to all of the accessories available with capacities of up to 2,000 dishes/hour. 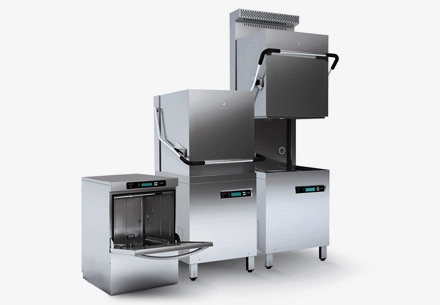 All of our equipment is designed to improve hygiene conditions: the exteriors of the appliances are finished with an extra-fine polish and do not have sharp edges, while all interior angles are rounded off, thus avoiding pockets of dirt, eliminating odours while at the same time ensuring the complete emptying of the tank and excellent waste filtration. 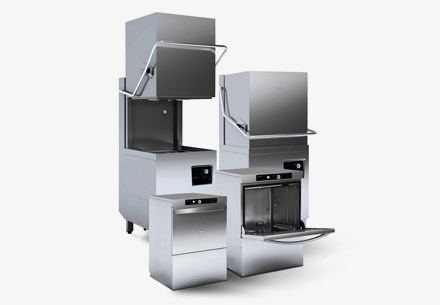 Moreover, if your company requires equipment with higher productivity rates, please do not hesitate contact us. 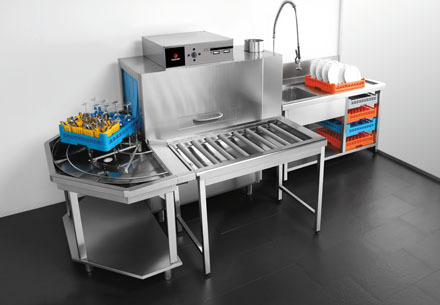 A true professional in the kitchen also needs efficient solutions so that all the equipment is immediately available again. 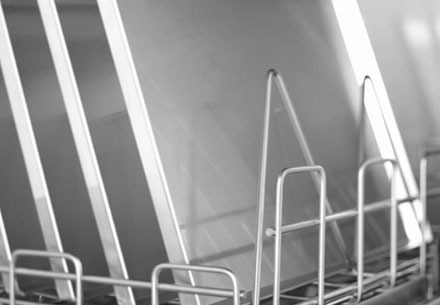 Our range of products is comprehensive, from small glass washers for bars, cafes or small restaurants to high capacity dishwashing appliances. 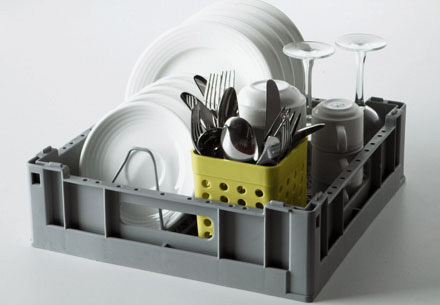 Functions: Top loading and front loading. 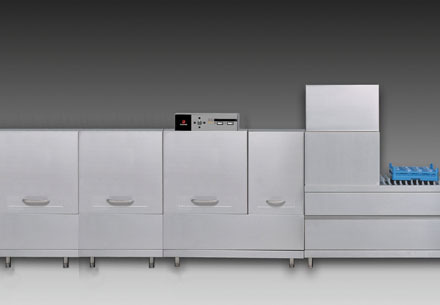 View the full E-VO ADVANCE range overview. View the full E-VO CONCEPT+ range overview. 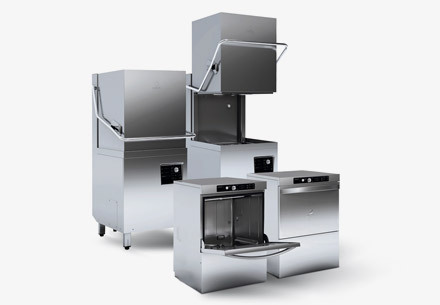 Functions: Top loading, front loading and glass washer. View the full E-VO CONCEPT range overview.